Raj C. Shah, MD, is an associate professor of family medicine with the Rush Alzheimer’s Disease Center. He completed his bachelor of science in chemical engineering at Northwestern University and attended the University of Illinois at Chicago College of Medicine. After completing a family practice residency at West Suburban Hospital and Medical Center in Oak Park, Illinois, he received further training in geriatrics at Rush University. He is board-certified in family medicine with a certificate of added qualification in geriatrics. He is a principal investigator for clinical trials in Alzheimer’s disease and other common age-related conditions. He is on the international steering committee and is site principal investigator for the ASPirin in Reducing Events in the Elderly prevention clinical trial. He also provides support for ongoing longitudinal research and infrastructure projects on memory and aging, including the Rush Memory and Aging Project, the Rush Religious Orders Study, the Rush Minority Aging and Research Study, the Rush Alzheimer’s Disease Core Center, the Rush Alzheimer’s Disease Assistance Center, the Rush Center of Excellence on Disparities in HIV and Aging, and the Rush Memory Clinic Data and Specimen Repository. Shah is also the Rush site principal investigator for the Chicago Area Patient-Centered Outcomes Research Network, a consortium of academic health systems and other partners working to develop, test and implement strategies to improve care for diverse residents in the Chicago region in order to improve health care quality, health outcomes and health equity. He is the Rush site principal investigator for the All of Us Research Program of the NIH’s Precision Medicine Initiative. His research manuscripts focus on non-neurological, modifiable factors associated with disability-free longevity in aging and novel clinical trial design and implementation. Shah oversees education, community engagement and recruitment efforts of the Rush Alzheimer’s Disease Center, especially in communities under-represented in aging research. 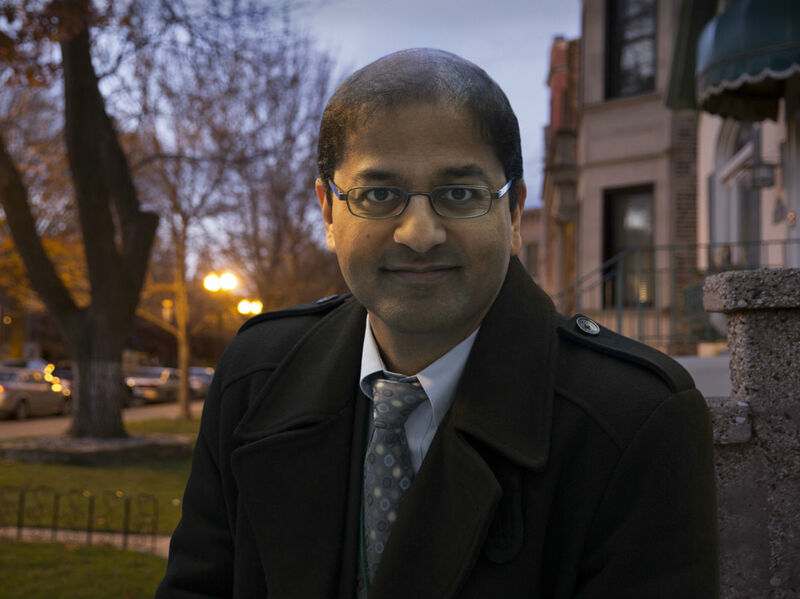 He is the co-Director of the Center for Community Health Equity, an initiative jointly led by Rush University Medical Center and DePaul University designed to reduce hardship and improve health outcomes in Chicago. He also mentors students interested in the health sciences at the high school, college, graduate and post-graduate levels. He serves on the Rush Institutional Review Board and has served on various other research-focused committees at Rush.